IB Diploma Programme (DP) graduate Cynthia Claudia muses on exams, equations and the motivating role of teachers, for her second story in our series featuring graduate voices. 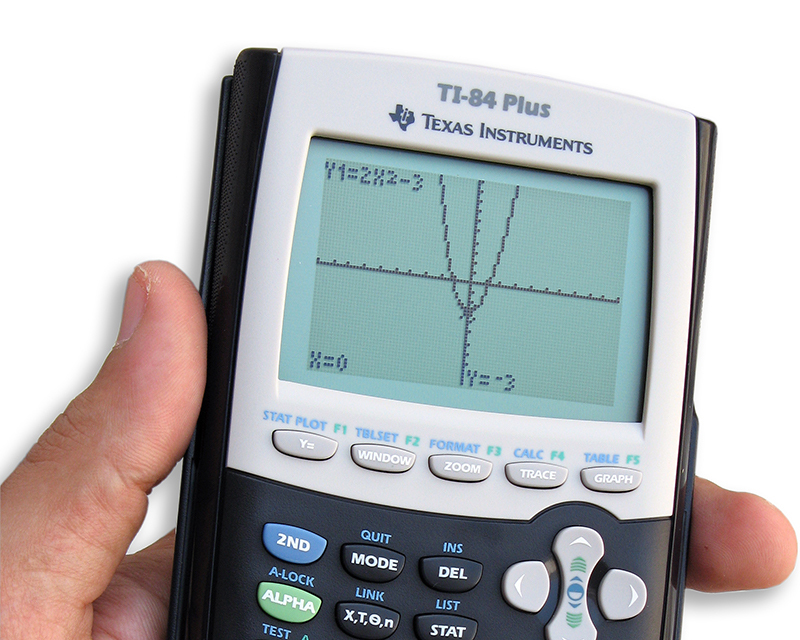 Taking a stroll down the memory lane, I remember vividly sitting in the classroom, holding on to my TI-84 to solve differential calculus questions. I’ve never found any amusement in solving Math problems for as long as I could remember, even struggling to solve some most of the time. On my final year, after making sure that each of my IAs were submitted, I started to solve enormous amount of past papers and guess what, it was the first time I felt confident in saying to myself that there’s no doubt I’m ready to take the exam. And it was also the first time I ecstatically said to myself, “Yes, I really nailed this exam!” instead of ranting “I could have done better than that!” However, these rants eventually came to me in my university days. You know these two phrases that I just mentioned, either one of them, were somehow the phrases that you would definitely blurt out after you were done with your exams. What I did not realize back then was that, the journey of facing these dreaded algebraic functions, quadratic equations, financial modelling, you name it, did not stop there. I was being haunted once more by these dancing numbers on my textbook which I thought I had completely got rid of. I was overwhelmed by the intensity of the calculations nor was I fond of solving them, brows furrowed probably numerous times and trying to make sense of the equations lingering on top of my mind. Long story short, I constantly found myself ranting over the second phrases, “I could have done better than that!” after many exams! There were times when I struggled a lot with confidence, the typical self-esteem issue any student would probably face. I tried to find numerous ways to ace the questions. At the end of the day, I did not pass with flying colors, but I realized that didn’t matter anymore, I felt content knowing that I had given it everything. On the bright side, I believe this process, that I call ‘running to reach the finish line of a marathon packed with hurdles to overcome,’ eventually shaped me to become a more persistent individual. Along the way, I also found myself growing to become a person who dared to take risks, I wanted to challenge myself outside my comfort zone. When everyone else chose A, I dared to choose B even though I knew it would not be an easy path to cross. This involves countless decisions as simple as choosing research topics that might seem impossible to be done at first, not to mention the life choices that I encountered afterwards. Of course many things were at stake: time, energy and once again, confidence. However, had it not been this way, I wouldn’t be someone who could realize her potential, in doing something more than I thought I could do. At the end of the day, what made the pursuit of knowledge meaningful in my journey as a student, was that I was inspired by passionate teachers. I remember having a recap-session until late at night in Starbucks, it was exactly a day before the English A: Language and Literature Paper 1 Exam. We were discussing exam-style questions, and we wondered which questions could possibly come up from the literary texts that we had studied. Reminiscing about those days, I recall how everyone had felt the same way, quite literally, dreading the upcoming final. But, looking back at how hard our teachers had worked, I don’t see how we could not have wanted to give it our best, to make sure that everything that they had sacrificed to prepare us was not done in vain? This, I believe, surpassed the desire to simply achieve excellent grades. This is a glimpse of just one chapter from my days as a student, packed with these so-called bitter-sweet memories, but I believe there are more memories of sweetness that surpass the bitterness in such a way that you would feel hard to let go once you know it’s all over. My student days wouldn’t have been challenging without a little bit of bitterness, right? How do you look back on your chapter in life as a student? 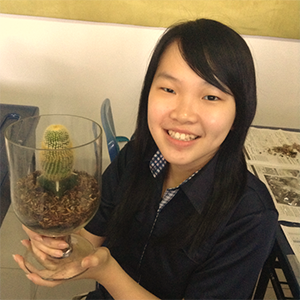 Cynthia Claudia graduated from Cita Hati Christian High School, Indonesia with her IB Diploma in 2014. Having recently completed her days as a student, she is excited for the opportunities that await her as she opens the next chapter in her life.